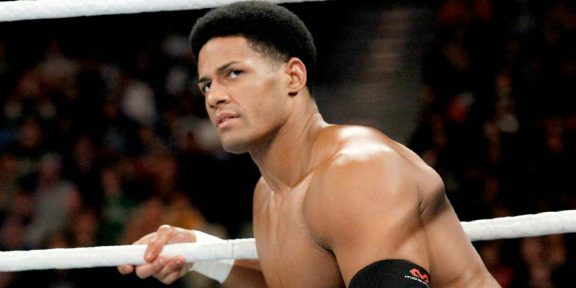 Darren Young and Summer Rae also received their pink slips today from WWE, joining Emma on the unemployed list. Young joined WWE in 2005 and participated in the first season of NXT in 2010 with his mentor CM Punk. After the season ended, Young joined the Nexus group which wrecked havoc in WWE. He returned to NXT in 2011 where he spent another year there before being called up to form The Prime Time Players with Titus O’Neil. Lately he was paired up with Bob Backlund. Several injuries kept Young off WWE television, putting on the breaks to whatever program he was participating in. Young became the first openly-gay wrestler in WWE, coming out publicly in August 2013. During his WWE career, he won the Tag Team titles once. Summer Rae joined WWE in 2011, first under a developmental deal at Florida Championship Wrestling and then NXT, where she did ring announcing before transitioning to in-ring wrestling. In 2013, she was called up to the main roster and debuted as Fandango’s dance partner. Rae was also part of the Total Divas cast and was a permanent member of the cast for season two and three. Rae spent most of 2016 injured and has not appeared on WWE television for around a year.